Dripping with atmosphere and a sense of time and place, The Long Count is a page-turner and a psychological puzzle – for fans of Shutter Island and True Detective. It will be available in ebook format in May 2016, and paperback in October 2016. 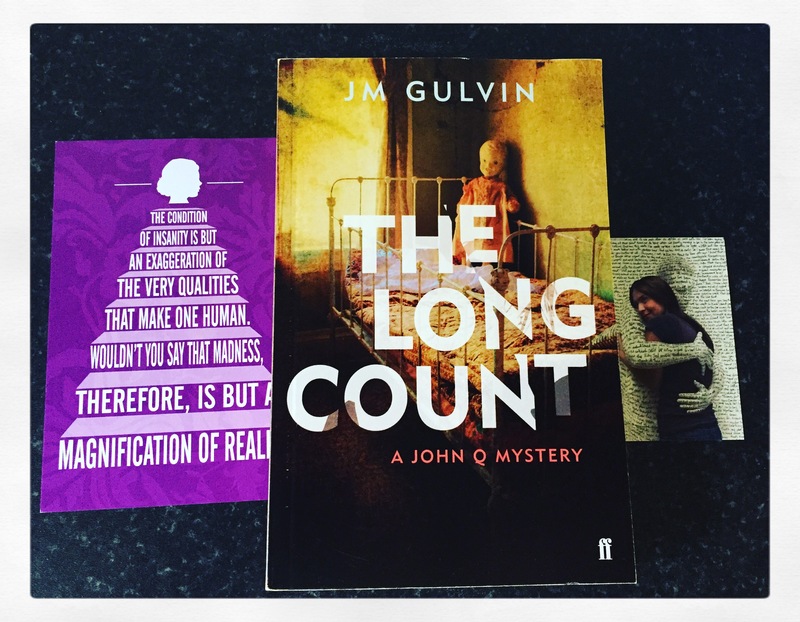 The Long Count is a brilliant crime thriller. I had absolutely no idea what to expect when I first started the book as I only glanced at the blurb without really taking it in. Once I started, I didn’t want to put it down. I devoured The Long Count in 3 sittings. John Quarrie (John Q) is a Ranger and he reminds me of Jack Reacher and Walker, Texas Ranger at the same time. He is tough, honest and very quick with his guns if the situation arises. When he is called to the scene of a suicide of an Army vet while on his way to another incident, he is all but convinced that it’s not as simple as it seems. Quarrie suspects murder, but the local law enforcement disagree. The Army vet’s son Isaac, just having returned from Vietnam is also certain that his father would never commit such an act. Together, John Q and Isaac find coincidences in nearby violent crimes and so they investigate the connections further not realising that it will have dangerous consequences. I don’t like to divulge too much about plots, but sufficed to say this book is so well planned out. It is full of red herrings, beautiful descriptions of the American deep South, moments where you find your pulse is racing a little because you just know something is going to be said or done. Honestly, I thoroughly enjoyed The Long Count. It has everything I look for in a book. It has a really likeable character in John Q, there are plenty of little nuggets of information scattered around the book which only come together towards the end and it is also a fantastic appetite-whetting beginning to a series. Regular readers of my blog will know I’m a sucker for a good series, and if The Long Count is just the start, then I cannot wait for the next installment. John Q is also one of my favourite characters I’ve encountered so far in the books I’ve read this year. Massive thanks again to the lovely Anne Cater for letting me review this hidden gem of a book that I’m so glad to have found!